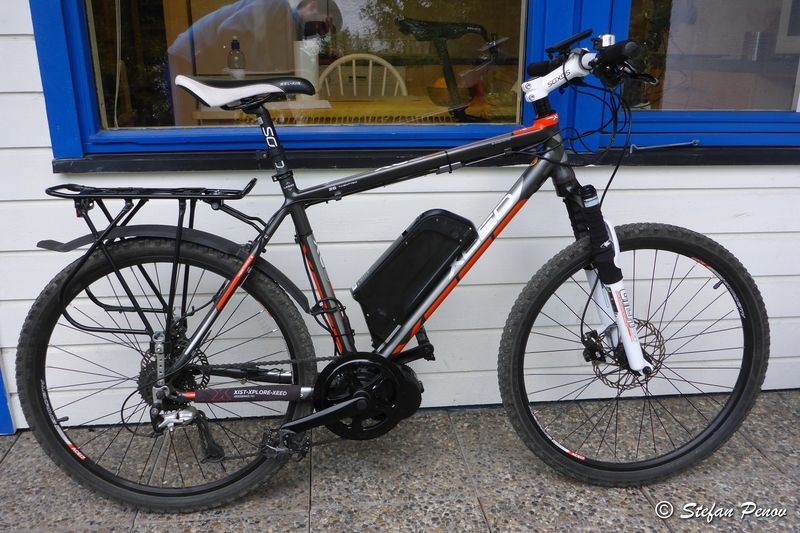 It’s been a while since I wrote the posts about my electric bicycle conversion project. 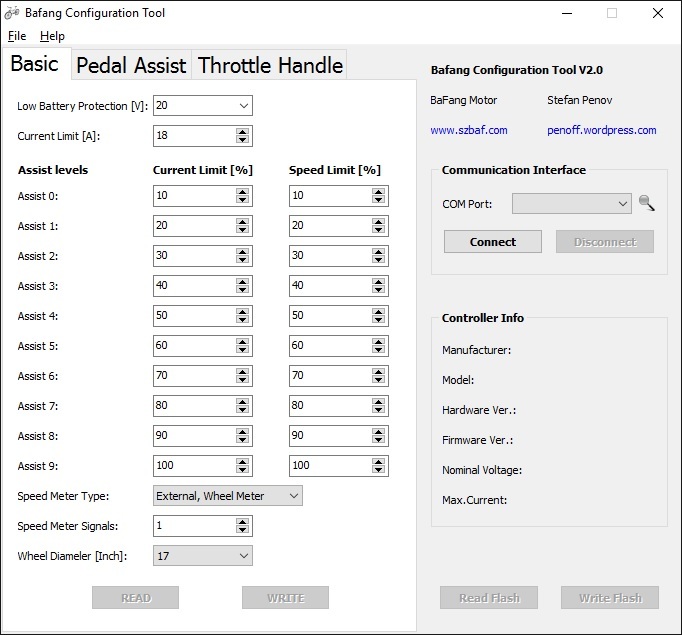 The bicycle runs fine so far and I finally finished rewriting the software that configures its controller. 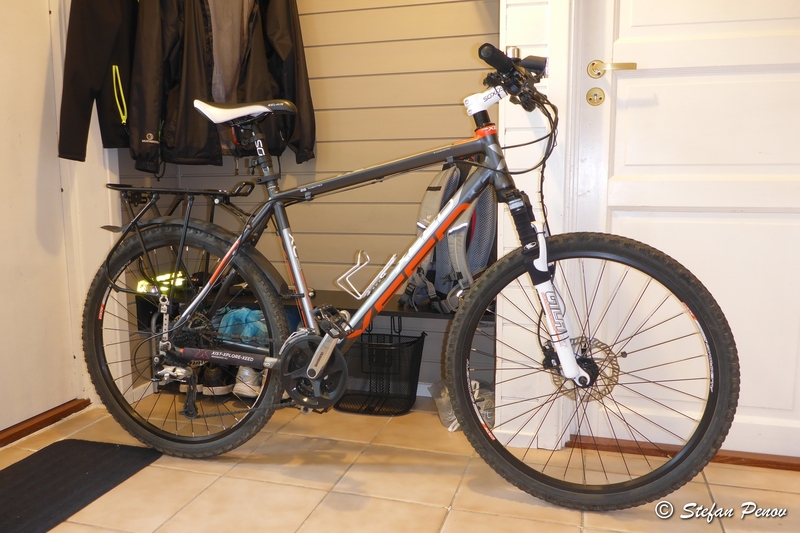 Recently I decided to convert my city bicycle (actually MTB with trunk and mudguards) into electric bike. The main reason for that is living almost on top of a hill where everything else is at least 50 meters lower and always involves climbing steep streets on my way home. The conversion kit I chose is Bafang BBS02. It consists of a mid drive motor with integrated controller, LCD module with control buttons, e-brakes and a compact lithium-ion battery mounted in the place for a bottle cage on the frame.